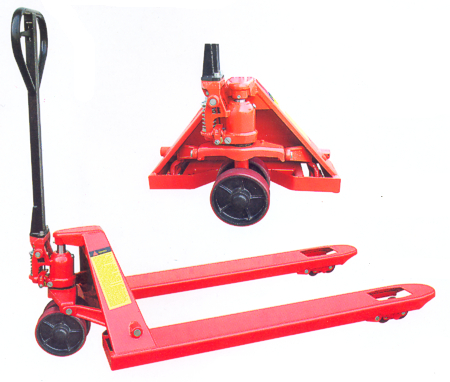 Top quality hydraulic Pallet Truck is made by investment casting , Hard chrome plated position and pump Plunger ensure wear-resistant and corrosion resistance. Full adjustable push rods under forks ensure stability of forks. Special specification can be manufactured according to customer’s demands.